Mace and nutmeg come from the same tree, the nutmeg tree. This tree is native to the Banda Islands but you will also find it heavily cultivated in the Caribbean including on the islands Grenada and Jamaica. 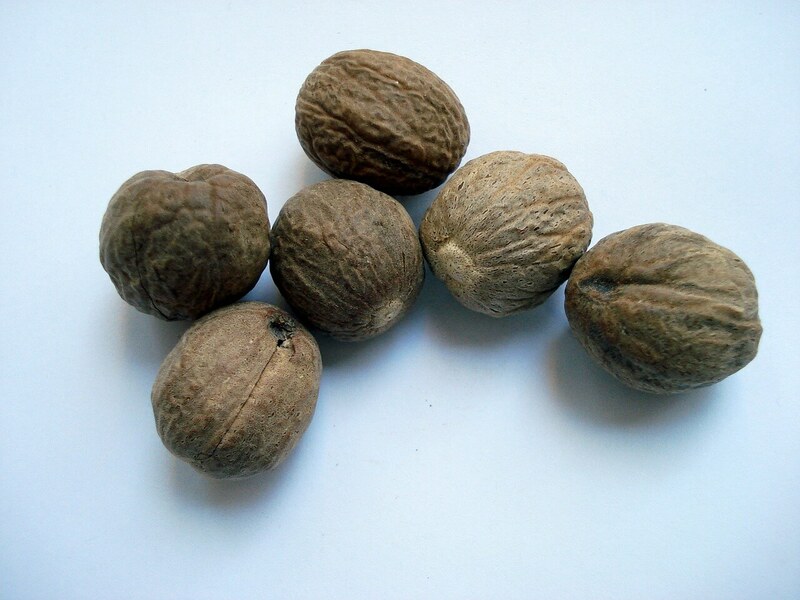 The fruits of the nutmeg tree have a hard pit in the middle that is the nutmeg. On the surfaces of those seeds is a covering that looks like melted wax and that is sometimes called an aril. That covering is mace. So they have similarities in origin, but what about taste and usage? Let’s look at what makes these two spices tick. How does mace differ from nutmeg? One of the big differences you will notice when you buy these spices is the cost. This is because each nutmeg plant gives a lot more nutmeg than it does mace. Because the supply of nutmeg is greater, its cost is much lower. Another difference has to do with each spice’s popularity. Nutmeg is a familiar spice to most people and is viewed as essential in many recipes. Mace is less well-known and not as indispensable. You will see more recipes that include nutmeg as an ingredient than ones with mace. Mace is a little more intense than nutmeg when it comes to flavor. It is spicier with a flavor profile that has many of the qualities of black pepper. While it is more pungent, it also loses its flavor faster than nutmeg. You may want to go get fresh mace instead of using a bottle that has been sitting in your spice cabinet for a while. 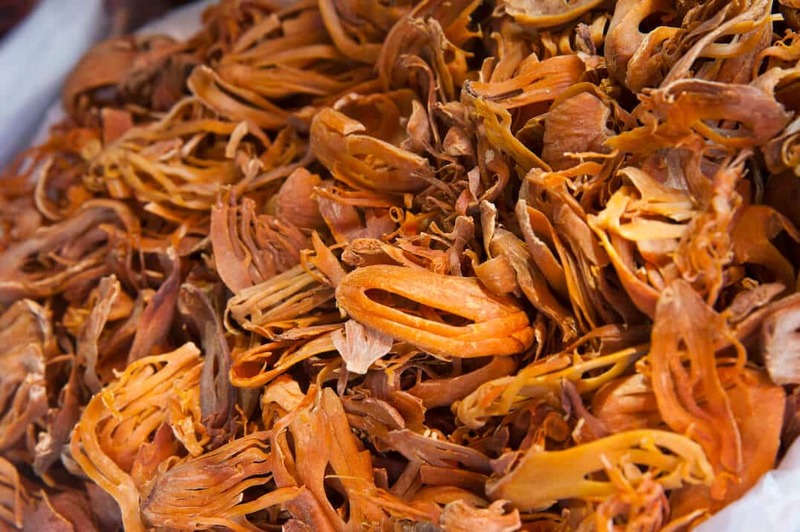 While you should definitely buy all of your spices whole if you have the opportunity, mace is one spice that you should attempt to avoid in ground form because of how quickly it loses its flavor. Unless you plan to use a whole container in a short period, buy whole blades of mace instead of ground. You can store whole nutmeg seeds for months under the right conditions. Can you use mace in place of nutmeg and vice versa? Both spices are literally parts of the same seed and have similar flavor profiles so you can usually use them interchangeably. Mace can work as a nutmeg substitute as long as you remember that it is more pungent. Use about half as much mace as nutmeg when replacing nutmeg in a recipe and double nutmeg when replacing mace. Add or dilute to taste when necessary. Also, note that mace’s flavor can fade quickly once you expose it to heat. Add it toward the end of cooking time to prevent this. If you are using whole mace blades, remove them before serving. Keep in mind that while the spices can be used in place of each other to achieve similar flavors, mace will significantly increase the cost of your dish. 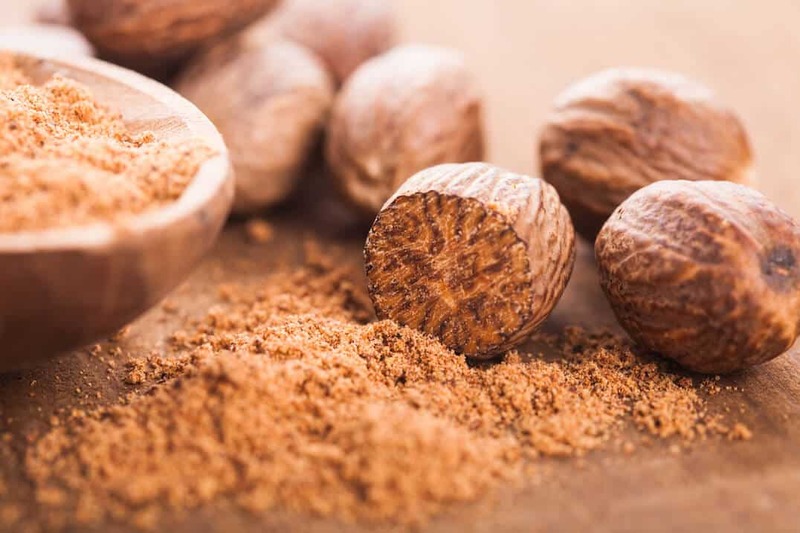 When should you use mace and when should you use nutmeg? Common uses for mace include some blends of the classic Indian spice blend known as garam masala. You also often see it in ras el hanout, the spice blend from Morocco. Mace is a common ingredient in some rice dishes and in various soups. Nutmeg’s list of applications is longer than that of mace. That list includes everything from Scottish haggis to French Bechamel sauce and Italian meatballs. It is included among the ingredients in some Japanese curry powders as well as in English mulled wines.